What a glorious day; finally it feels like the start of Spring. We’re all ready to go with the planting, but since bare earth isn’t that exciting to look at there are no pictures from the plot to speak of. 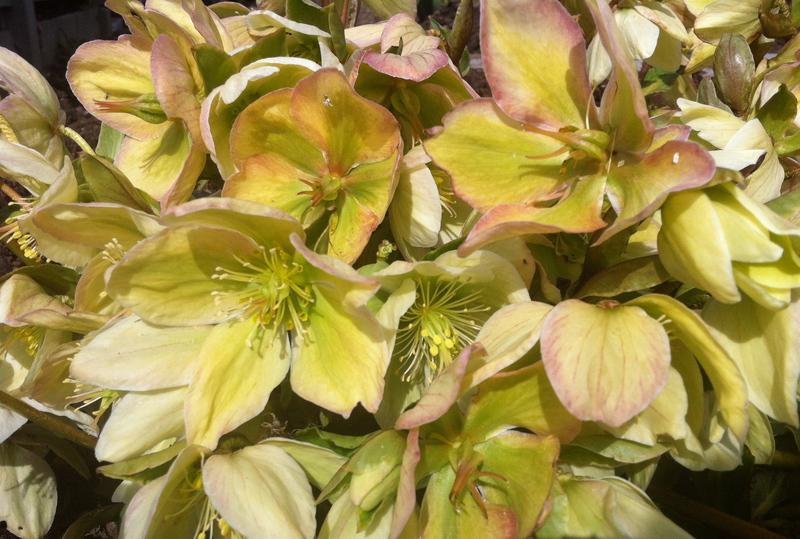 So I thought I’d share this somewhat painterly photograph of the hellebores enjoying a couple of extra weeks in full bloom before the leaves from the rhubarb over shadow them. I hope you’re all enjoying the sunshine and managing to get back on track. Thank you David. I did take some but they’re just not that exciting. Also we’re away for a week at the end of the month so no planning to do any sowing until we get back. A slow start to the season to say the least. I trust things are progressing well for you? Nice picture, shame we don’t have one of you taking it! Thank you Arthur and thank you also for following the blog, it’s very much appreciated.